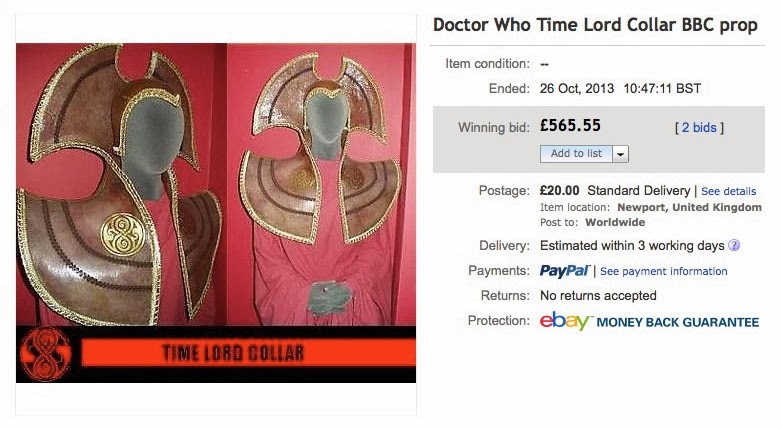 There have been a couple of interesting lots on eBay over the past few months, which in combination make a full Time Lord costume as first seen in The Deadly Assassin, though these costumes possibly date from later stories. Genuine BBC prop believed to have been made by BBC Enterprises in the late 80's early 90s for the launch of the VHS Doctor Who range with Jon Pertwee. Used in various promotion events in Virgin Megastores. Various promotions also took place with Sylvester McCoy and Tom Baker. This is a really lovely item and indistinguishable from the original TV props. Cast from the same moulds and decorated with ornate embellishments and the crest of the Prydonian Chapter (in case you were wondering!). It has been stored in a garage for 20 odd years and is remarkably good for its age. This is an incredibly rare piece made available for the 50th anniversary. Auction includes collar and skull cap. Originally sold at Bonhams in February 2010 to a private collector. 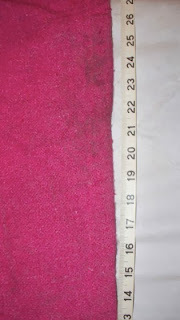 Costume comes fully authenticated with certificate. 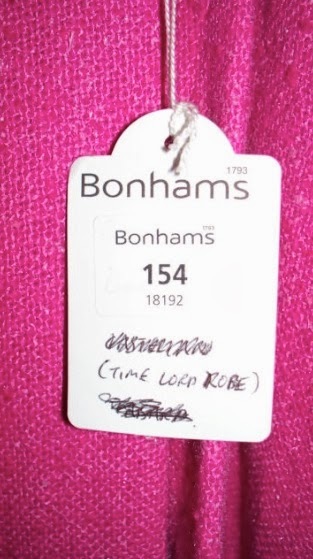 There is a tag that has been retained with the costume from the original sale, confirming the Bonhams sale number 18192 and the lot number 154. 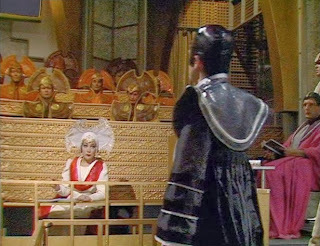 I cannot personally confirm that this costume was used in The Deadly Assassin as I do not have any photographs from this. N.B: A friend advised me that this costume was seen in the 1986 season story; The Trial of a Timelord in the courtroom scenes set on Gallifrey, worn by the clerk of the court, and provided me with a screen snapshot from this. SEE PHOTOGRAPHS. 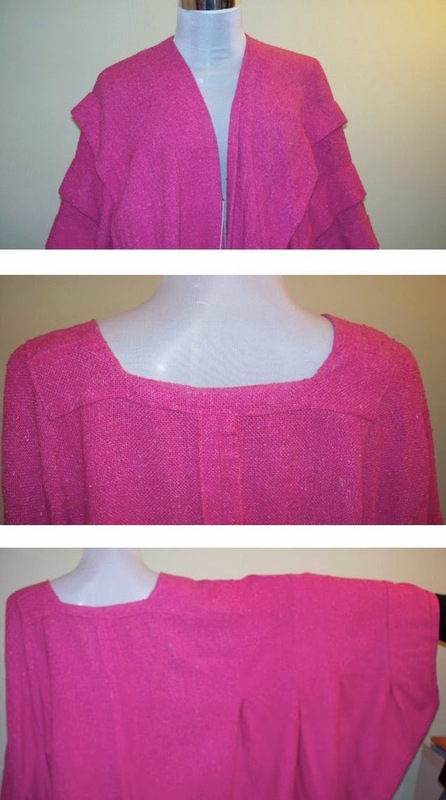 I leave this to the buyer's judgement to verify this. 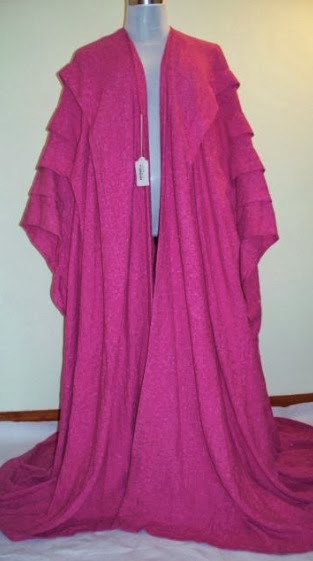 The robe measures approx 56 inches from the reverse nape of the neck to the floor. The robe is in very good condition considering its age; there is no visible damage to the fabric - no rips, tears or holes. 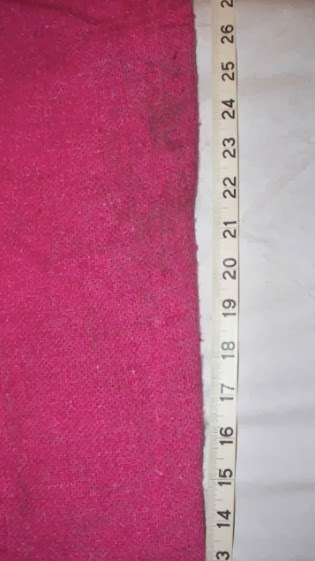 There is some production wear to the robe, this is in the form of some slight dirt marks and scuffing to the hem where the long train has presumably trailed along the studio floor.